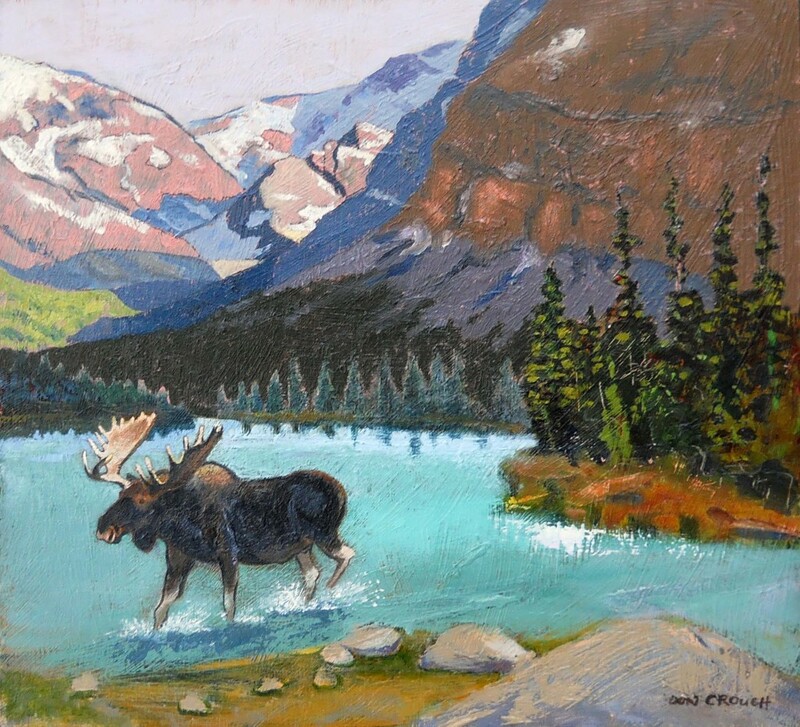 Gallery » Fine Art and Sculpture » Don Crouch - "Moose In Mountain Lake"
Oil on board by listed artist Don Crouch, Illinois (born 1940). 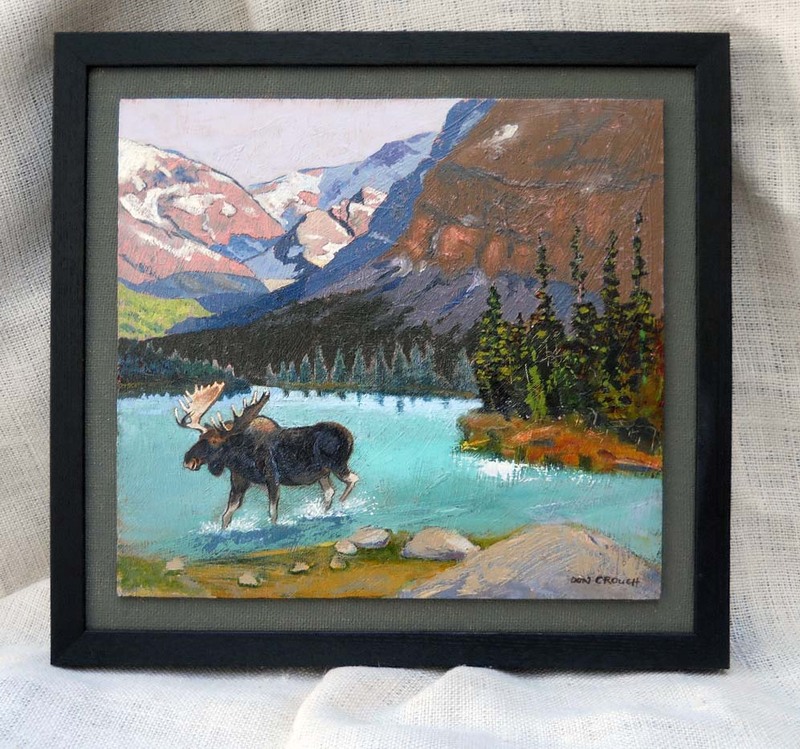 Wonderful painting of bull moose crossing mountain lake in a summer setting. Terrific blue hues of the water with gorgeous mountain backdrop. 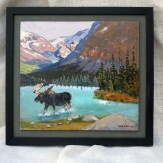 12" x 13" and framed 16.5" x 15.5".